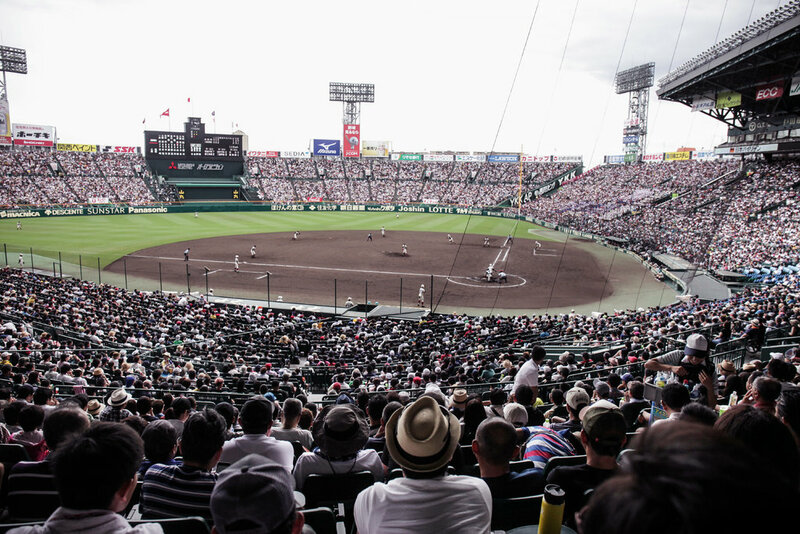 Koshien Stadium, home to Japan’s high school baseball championships, was constructed as the tournament’s permanent home in 1924, 12 years before a pro league was established. World Cup soccer banners adorned the lockers throughout the Yankees’ clubhouse for the early weeks of summer, but when Komazawa University Tomakomai High School was whipped, 15-2, in the final of the Hokkaido South regional baseball tournament shortly after, no one knew enough to console or even rib Masahiro Tanaka, an alumnus. The loss eliminated his high school from advancing to Japan’s biggest sporting spectacle, which has roots even deeper than soccer’s World Cup. Too bad he didn’t have Miles Mikolas as a teammate. A right-hander, Mikolas signed with the St. Louis Cardinals this year after pitching for three seasons in Japan, where he discovered its annual national high school baseball tournament. This year’s edition of the summer extravaganza at Koshien Stadium outside Osaka is the 100th. It was created in 1915, 15 years before Uruguay won soccer’s first World Cup. From Hokkaido to Okinawa, the tournament begins regionally in each of Japan’s 47 prefectures. Every high school with a baseball program throughout the archipelago participates — 3,871 of them this year. Earning the crown for best team in the region is nice, but it is merely passage to the ultimate prize, a berth in the single-elimination tournament at Koshien that runs through Tuesday this year. With 12 titles, Osaka is Koshien’s Brazil and U.C.L.A. Another cultural aspect revealed is the significance of baseball’s amateur roots in Japan. The professional game did not exist in 1915. Koshien Stadium was constructed as the tournament’s permanent home in 1924, 12 years before a pro league was established and the Osaka Tigers, a charter member, were housed there. Now known as the Hanshin Tigers, they still have second-class status at their home park. Each August, they are essentially evicted, banished to an unthinkable stretch of away games known as “the death road” just as the pennant race heats up. This year, Hanshin had 25 straight games scheduled away from Koshien.Teenagers become national heroes on Koshien’s diamond. Even when they ascend to the professional ranks, they are still defined by their performance in the tournament. In his first year of high school, the future Los Angeles Dodgers pitcher Kenta Maeda was handed the ball to start his team’s opening game. It lost, and he never returned to Koshien. But as with any other teenager, the tournament proved formative in his baseball development. Maeda was a 10-year-old in 1998 when Matsuzaka, a senior at Yokohama High School, electrified the nation in the quarterfinals with a 250-pitch, 17-inning, complete-game victory. The next day, he saved the semifinal victory and followed it the day after that with a no-hitter to win the championship. Such workloads are celebrated in Japan for demonstrating perseverance. Limits on pitch counts and consecutive days pitched do not exist there. Matsuzaka’s performances endeared him to Japanese fans, which helps explain why his popularity never waned even as he struggled at times during eight major league seasons with the Boston Red Sox and the Mets. No current major leaguer is deeper ingrained in Koshien lore than the Yankees’ Tanaka. He electrified the nation as a junior in 2005 by throwing a 93-mile-per-hour pitch, the fastest in tournament history by a nonsenior. The memorable pitch also happened to be the final one of the tournament, an up-and-away slider that was flailed at, clinching his school’s second straight national championship, the first repeat in 57 years. Tanaka’s legend grew his senior year. He pitched the final 12⅔ innings of the championship game that was called a draw after 15 innings. The game was replayed the next day, starting from scratch, and Tanaka was summoned to finish the first inning after the starter pitched shakily. He never exited. His yeoman effort was not rewarded with a three-peat, though, as his team lost, 4-3, and Tanaka suffered the agony of swinging and missing at the game’s final pitch. Americans may have never heard of Yuki Saito, the pitcher who defeated Tanaka, but in Japan he is a household name. As a senior, Saito led Waseda Jitsugyo of Tokyo to its first national championship by starting all seven games his team played in the tournament. His last four starts came on successive days and included pitching all 15 innings of the championship game, which ended in a tie, and all nine innings of the replayed game. His 69 innings and 948 pitches are tournament records, and his 78 strikeouts were the most in 48 years. Furthermore, he endeared himself to the nation by pulling a handkerchief from his uniform pocket and wiping his brow whenever the going got tough, earning him the nickname Handkerchief Prince. Now a pro with the Hokkaido Nippon-Ham Fighters, Saito has struggled over eight years to a 15-24 record with a 4.33 E.R.A. Nonetheless, his starts continue to draw big crowds, and his 30th birthday this summer was headline news, all because of his performance as a high school player on Japan’s biggest sporting stage.